Use code: Remember to use code CLEANSE to get a free Juice beauty facial cleansing bar added to your first box! You’ll receive a diverse mix of makeup, hair care, body & skincare curated to match your beauty profile, all cruelty-free, non-toxic, and plant-based. Each beauty or lifestyle product is discovered, researched, and rigorously tested for performance. Does that mascara stay all day? Does that moisturizer really hydrate? Is that handbag sturdy? We ask all the questions so you don’t have to. If it doesn’t make the cut, it doesn’t make our shelf. You fill out an extensive profile with your age, style, skin type, hair type, color preferences, etc. This prevents you from ending up with a bunch of products that are useless to you. Petit Vour offers FREE SHIPPING for USA & Canadian beauty box subscribers! Use code : Remember to use code CLEANSE to get a free Juice Beauty facial cleansing bar added to your first box!! 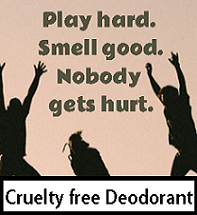 Petit Vour is wholly cruelty-free. This means absolutely NO animal testing or partnering with brands who sell in countries where animal testing is required and NO manufacturing in countries with lower worker standards than the USA, unless the brand can provide clear proof of fair worker standards. 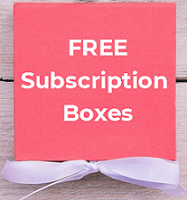 The best of #vegan and #crueltyfreebeauty, delivered to your mailbox each month! Previous Entry September 2018 Vegan Cuts Beauty Box Sneak Peek.